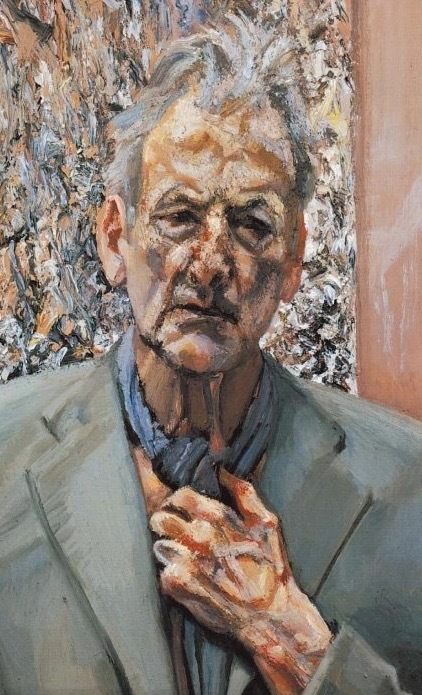 Lucian Freud (1922-2011): “Self-Portrait: Reflection,” 2002. The concept of Painters’ Paintings intrigues. Who did the painters, the masters, themselves admire, or more specifically, collect — and why? As with most collectors, the reasons were various. Among them, artworks were received as gifts (Picasso to Matisse), or bought to help a fellow artist financially (Degas often assisted fellow artists in this manner), or often, acquired for the sheer love or passion for the artwork. The National Gallery, London, organized a fascinating show based on this concept which runs through September 4th. This exhibition of over eighty works, spans five hundred years and includes pieces collected by Freud, Matisse, Degas, Leighton, Watts, Lawrence, Reynolds, and Van Dyck. Surely, an insightful and engaging show of masterful works and masterful collecting. 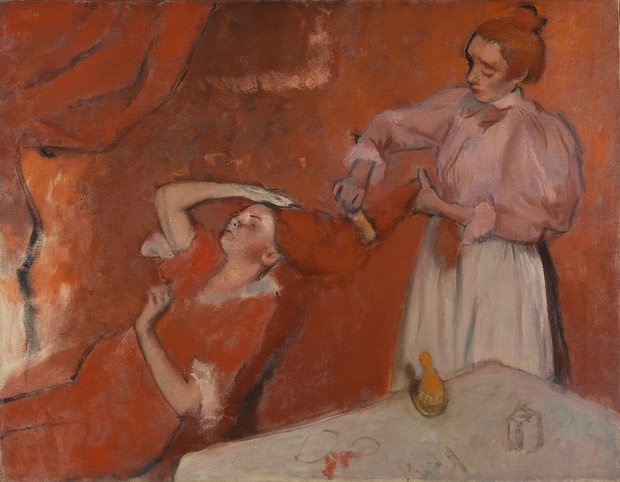 Edgar Degas (1834–1917): Combing the Hair (‘La Coiffure’), c. 1896. Photograph: The National Gallery, London. Formerly, Collection of Henri Matisse. 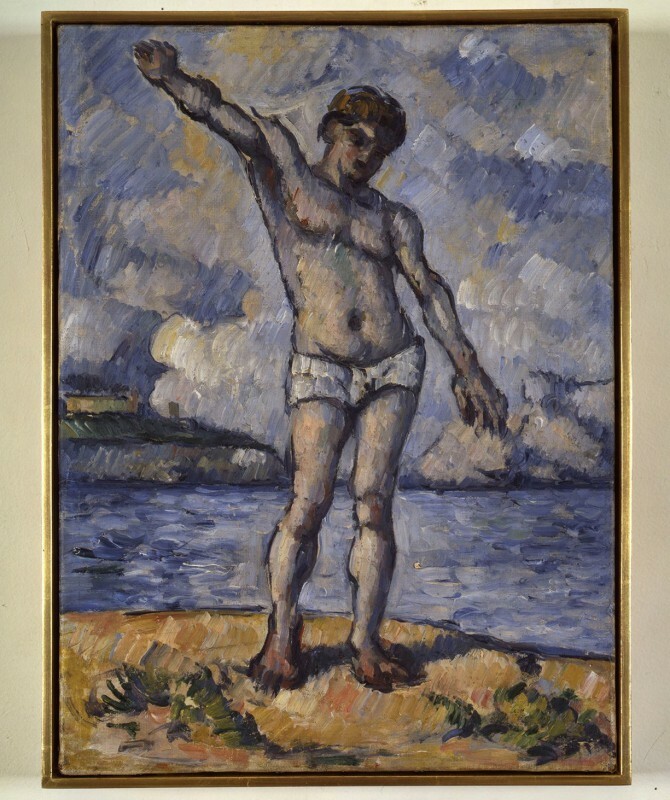 Paul Cézanne (1839–1906): Bather with Outstretched Arm (study), 1883-1885. Photograph: Dorothy Zeiden. Collection of Jasper Johns, formerly in the Collection of Edgar Degas.